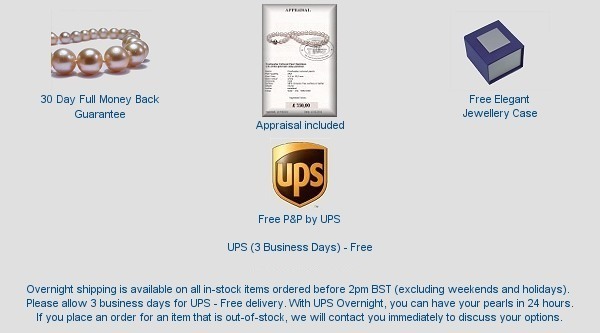 Hanadama Pearl Necklace at SelecTraders: Selectraders has the finest quality pearls and exquisite pearl jewellery in stock. This 8.5 - 9.0mm japanese akoya pearl necklace has a length of 18 inches. Hanadama is the designation for the absolut finest quality pearls. These pearls are the rarest cultured pearls available in the world, representing only 1% of pearls from Japans pearl harvest. The finest pearls available with very high luster and thickest nacre. 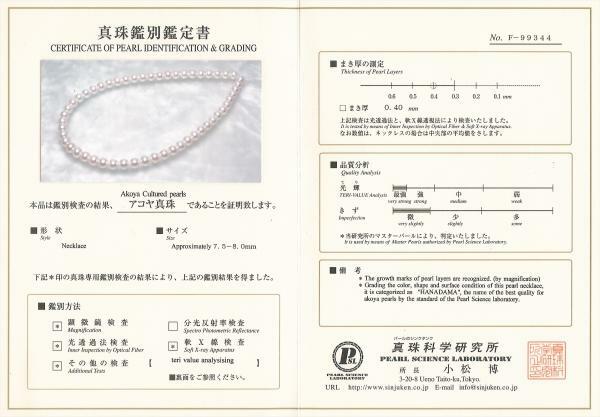 This pearl necklace with white body colour and lightly rosé overtone is categorized as HANADAMA, the name of the best quality for akoya pearls by the standard of the pearl sience laboratory. 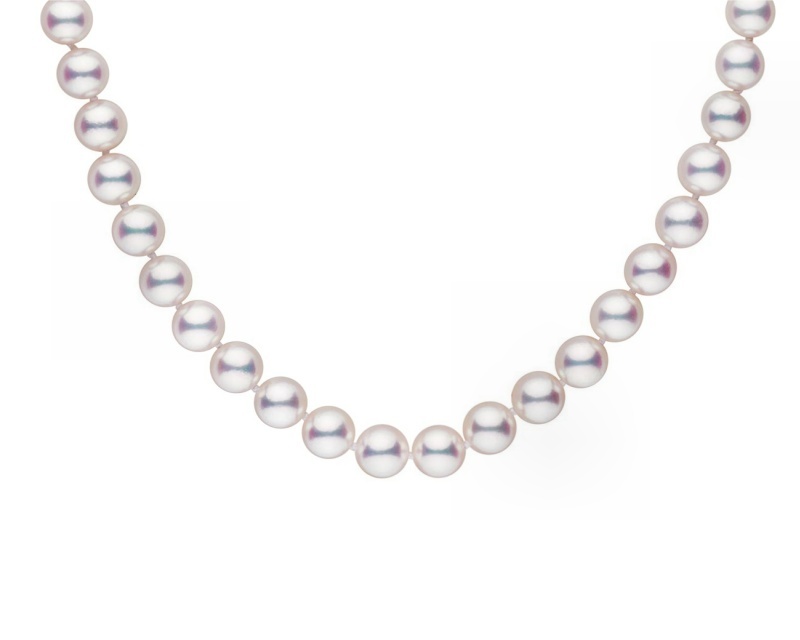 The unique pearl strand is finished with a 14k yellow or White gold ball clasp.